My second time at Won Jo, dinner for two! Welcomed through sliding doors and the menu fishes displayed along the glass. 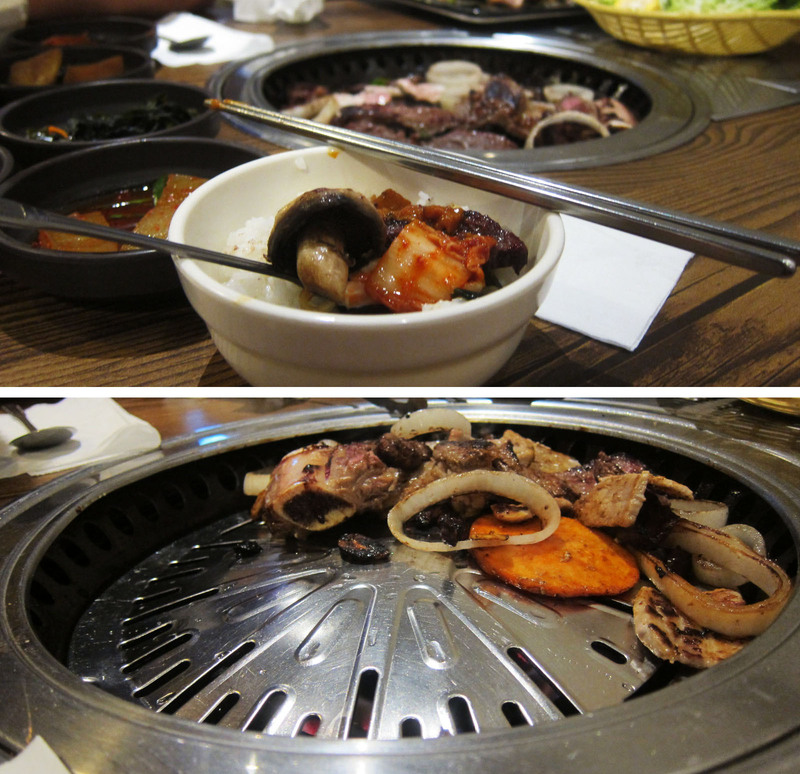 We ordered the combination meat ($45), which was perfect for two! I also ordered one bowl of rice. After 15 minutes, our uncooked tray of meat arrived! Fans along the ceiling of each stove. Getting the meat browned! 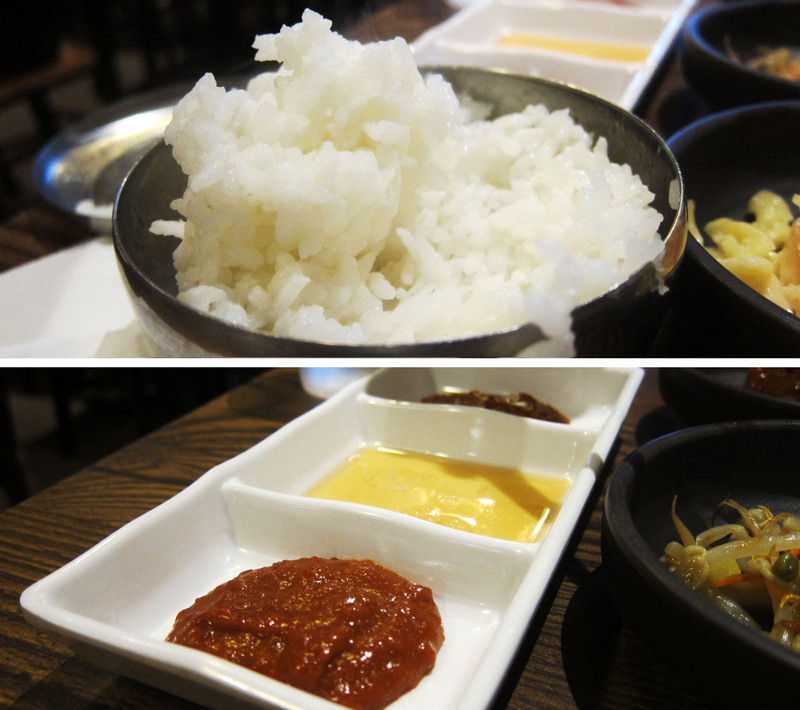 Rice which I barely touched anyway and three dipping sauce choices for each of us! I absolutely love putting the veggies on the grill! Especially the onions, so tasty! The metal utensils kind of scared me at first, heh, I thought it would get too hot. By the end of it, we were simply playing with our food. We were way too full! 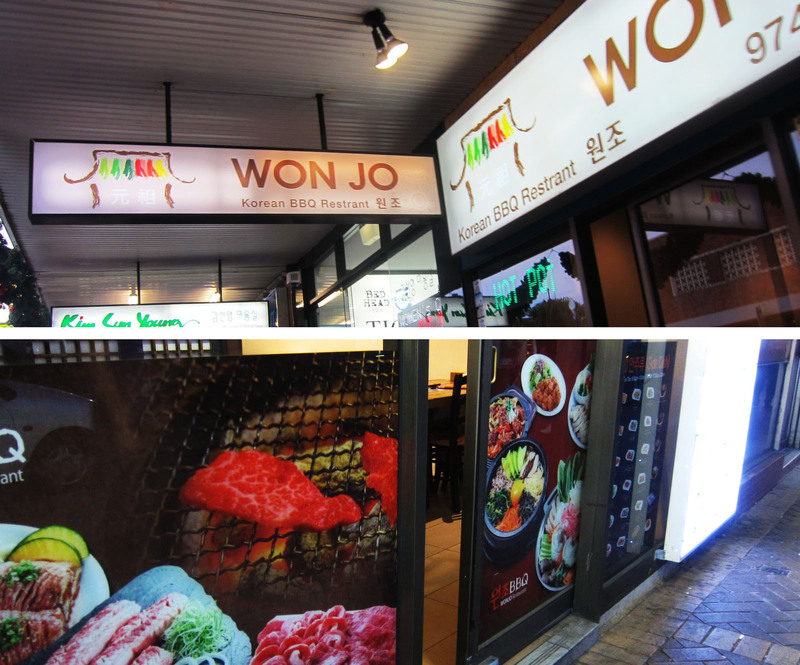 Won Jo is a tasty place for a Korean BBQ feed! Great array of sides and deliciously marinaded meats. 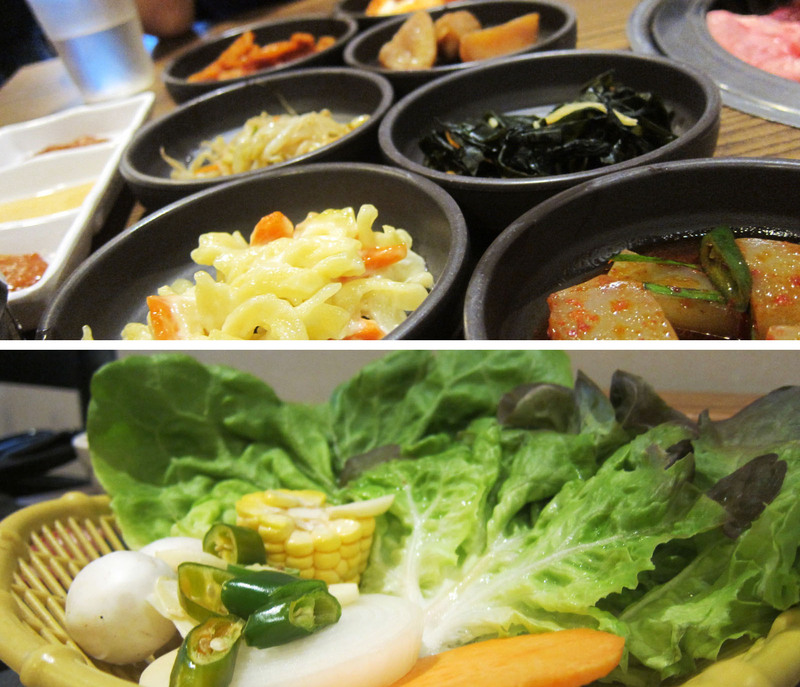 I love the side dishes as well as their spicy hot pot! 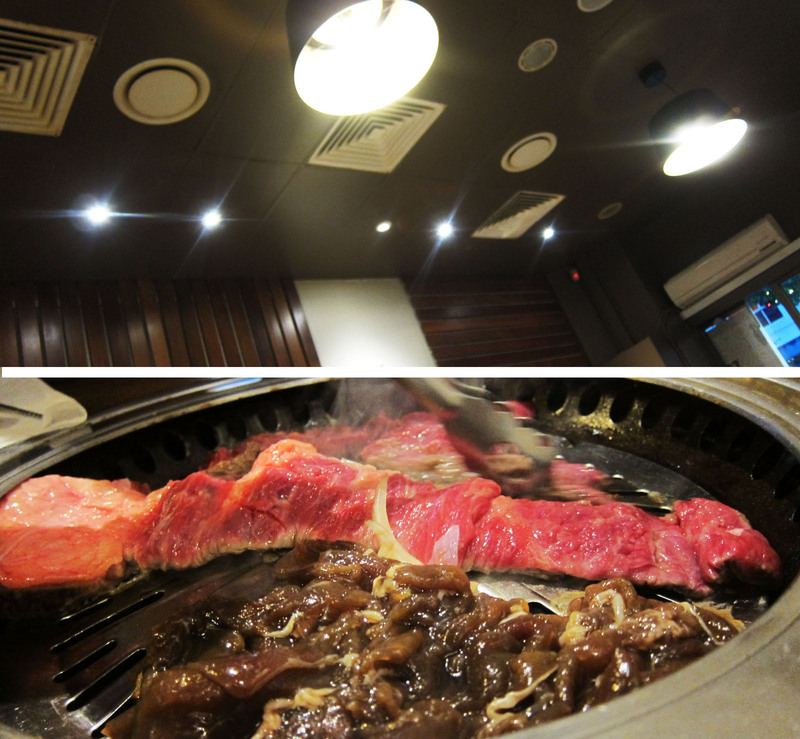 Yay, my favourite Korean restaurant ^_^! I'm obsessed with that red sauce.